From advanced reproductive surgery to in vitro fertilization, at Arizona Reproductive Institute we offer a caring, comprehensive approach to male and female infertility. Why should I choose Arizona Reproductive Institute? Our mission is to provide you with the most modern infertility medical care in Arizona within a warm and caring environment. 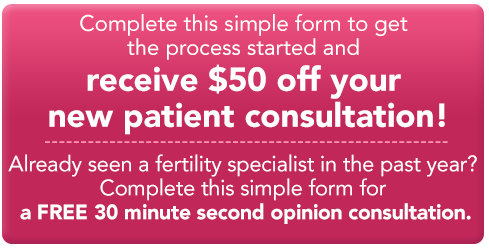 When you choose ARI, you can count on us to provide the best infertility experience and superior clinical outcomes. eIVF is an easy-to-use online tool to manage the care you will be receiving from ARI. We are committed to providing compassionate care that is personalized for every patient. Christine Mansfield, M.D., Arizona Reproductive Institute’s Medical Director, considers patient care a team effort involving advanced technology and expert care, and she is committed to providing compassionate care that is personalized for every patient. She received her medical degree from the University of Alabama School of Medicine and completed her obstetrics/gynecology residency at the University of Alabama Hospital System in Birmingham. She completed a three-year fellowship in reproductive endocrinology and infertility at the University of Texas Southwestern Medical School. During her time in Texas, she was a multi-year recipient of the Patient Choice Award, Compassionate Doctor Recognition and a Top Ten Doctor by Vitals.com.